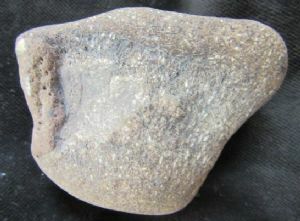 Somewhat water worn Dinosaur vertebra. The overall shape would suggest it might be an anterior dorsal vertebra. Nice beach find. Bone : 7.5 x 5 x 3.8 cm.